If you want a ready supply of chicken stock on hand without committing to an hours-long chore, a pressure cooker is the way to go. Chicken stock is one of those small annoyances of the home kitchen. Recipes call for it all the time, which means you need a ready supply of it. That leaves you with a couple of options: Either make batches of homemade stock and keep it in the freezer, or use the store-bought stuff. Both have their disadvantages. Homemade stock is relatively easy and, when done well, is by far the best option; it has a deep, rich chicken flavor and plenty of gelatin, which adds critical body to sauces and soups. But it's also time-consuming to make, and that can deter you from making sure you always have it on hand. The store-bought stuff wins in the convenience department, but it has no gelatin, and the quality of its flavor is all over the map (and even the best brands don't hold a candle to homemade). My solution in recent years has been to use a pressure cooker—whether an old-fashioned stovetop version, like the Kuhn Rikon we recommend, or an electric pressure/multi-cooker, like an Instant Pot—to make homemade stock quickly. Not only does it cut down significantly on your total cooking time, yielding stock in less than an hour, but the resulting stock tends to be even better than a classically long-simmered one, with deeper flavor and an impressive extraction of gelatin. We know, because we've done the tests. 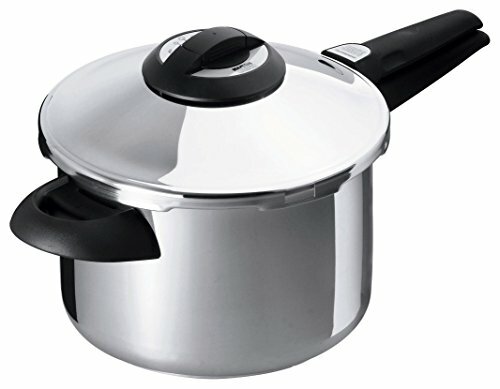 The pressure cooker works by creating a sealed chamber, which allows steam to build as the contents are heated. As the steam builds, the pressure in the cooker increases. This, in turn, drives the boiling point of the water higher: Instead of a sub-212°F (100°C) simmer, you can cook your chicken stock at upwards of 250°F (120°C). This extracts flavor from the chicken and vegetables much more rapidly, and converts collagen-rich connective tissue into gelatin in a fraction of the time as well. Another cool feature: By raising the boiling point, you can be sure that the liquid in your pressure cooker won't boil, even though its contents will be well over 212°F (unless you allow it to over-pressurize, in which case the cooker will vent itself and boiling will occur). This stillness inside the cooker means you'll end up with a clear stock, free of the proteins and other gunk that can turn it cloudy once dispersed. Oftentimes, I can whip up a batch of stock while I'm prepping the ingredients for whatever it is I'm making, and the stock will be ready for use by the time I'm ready to start cooking. Anything left over goes into my freezer for a future dish. 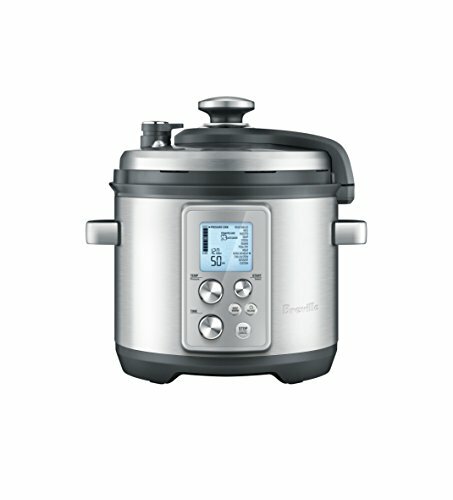 Pressure cookers tend to have a lower volume than most stockpots (especially when you factor in the cooker's max-fill line, which indicates the maximum amount of liquid you can add), but even with this limitation, it's still the most efficient way to always have the very best stock available. The process of making pressure cooker chicken stock is the same as for a classic chicken stock, which I've explored in depth before. You have lots of options for the chicken; breast meat gives the best flavor, but is also the most expensive to use, and therefore not something we typically recommend. Wings, backs, and raw or cooked bones with meat and cartilage attached are all good. If I can, I always try to grab some chicken feet to throw into the pot as well, since they are by far the most collagen-rich of all the parts of a chicken, leading to stock with exceptionally high gelatin content and the very best body. For the aromatics, you just need a classic mirepoix—a combination of onion, carrot, and celery—plus garlic, some fresh herbs like parsley and/or thyme, and maybe a bay leaf. I've found that dicing the vegetables first, instead of using the larger chunks often suggested, leads to better vegetable flavor in the stock. Once you've loaded up your pressure cooker with the chicken and aromatics, simply top it all off with water, making sure not to go above the cooker's max-fill line. It's okay if a few things stick up above the water level, since the internal heat of the pressure cooker will cook everything in there, above and below the water line. Then seal it, bring it up to high pressure, and let it run for 45 minutes—plenty of time to coax flavor and gelatin from your ingredients. After that, you can rapid-release the pressure or let it depressurize slowly as it cools. One thing to keep in mind is, if you do use the cooker's rapid steam-release valve, you will kick off a vigorous boil in the cooker. That's not a deal-breaker unless the stock's clarity is a priority for you. If you want to maintain clarity, let it depressurize on its own, or, if you have a stovetop pressure cooker, run it under cold water in the sink until the pressure drops. You'll have to skim off some fat and strain the stock, but otherwise, you'll be ready to rock, whether you're using the stock right away or freezing it for later. Store-Bought Chicken Stocks, Reviewed: Which Are the Best?